Stephanie Weaver is a doctoral candidate at St. John’s University. She is is currently writing her dissertation entitled Reinhabiting Fantasy: Finding a Space for Isengard, Narnia, and Hogwarts in the Anthropocene, which examines representations and possible resolutions to environmental crisis within Children’s and Young Adult fantasy literature. “Reinhabiting Fantasy: Navigating through Locations of Liminality in Harry Potter,” a chapter from this project, has been accepted as a contribution to A Wizard of Their Age 2: Critical Essays of the Harry Potter Generation, an anthology of various critical essay on Rowling’s acclaimed series. As a doctoral candidate, Stephanie’s research, conference proceedings and fields of interest focus on landscape and urban studies in British Literature from the 20th Century to include contemporary British Fiction, particularly the British Fantasy genre, specifically the contributions of Tolkien, Lewis, and Rowling. Other research experience has focused on the Irish Political and Literary and the ramifications of implementing the Irish language in contemporary Irish culture. This research experience stems from working with a former professor on compiling an anthology on the Irish Literary Revival. Stephanie contributes to this piece through her research of Women in Ireland during the Revival, as well as theatre and language during the Revival Period. The endeavor even led her to Dublin in 2013 in order to meet with archive specialists to examine primary documents for the anthology. Stephanie Weaver’s most recent literary endeavors and conference proceedings examine the role of landscape, location, and environmental crisis in Rowling and Tolkien, as well as representations of restoration and hybridity in James Joyce’s Ulysses. 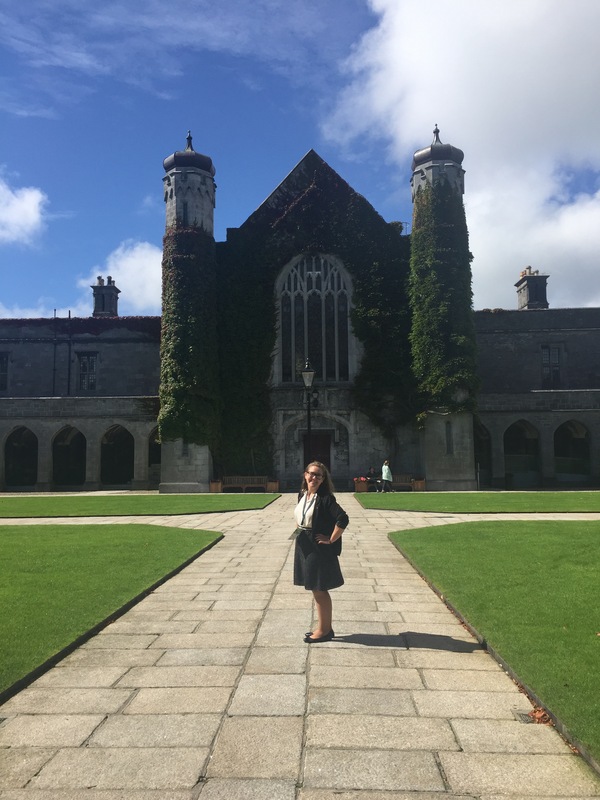 Her doctoral research has taken her to Galway, Ireland, for the European Society for the Study of English Biannual Conference as well as the annual Northeastern Modern Language Association Conference among many others. Outside of her dissertation research, Stephanie’s other interests focus on the study of literacy of students on the Autism Spectrum as well as best practices to ensure students on the spectrum receive the best possible education. Stephanie also enjoys traveling, theatre, outdoor activities such as rowing (crew), golf, and hiking, and studying history and languages in her spare time. When Stephanie is not engaging in academic pursuits she spends time as a private tutor in English, German, Biology, and Spanish for students on Long Island. Stephanie also spends a great deal of time working with her fifteen-year-old brother who struggles with reading comprehension and language development. Stephanie also returns frequently to her undergraduate alma mater to speak on the value of pursuing graduate degrees in the field of higher education, as well as, teach English composition, contribute to her undergraduate chapter of Sigma Tau Delta, and mentor students who look to pursue scholarship and fellowships abroad. Stephanie can be reached at weavers@stjohns.edu.